1. Put your flower girls in jumpsuits. 2. 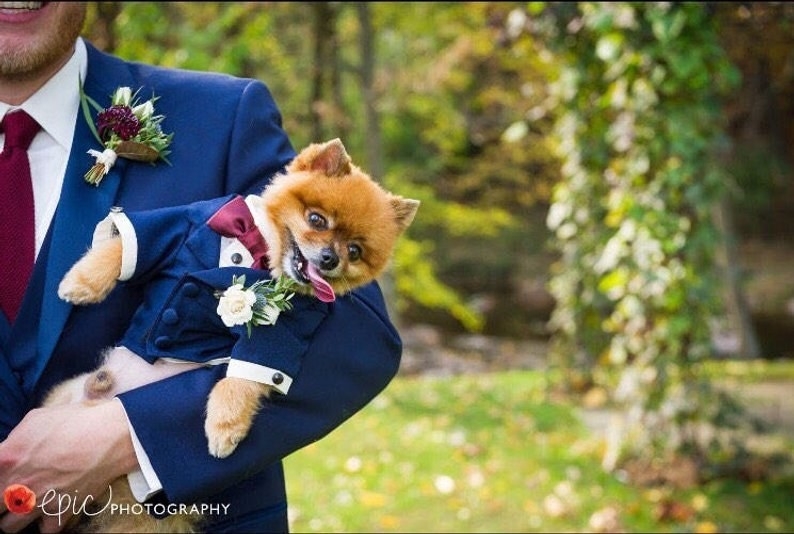 And your dogs in matching tuxedos. They start at $145 from Etsy. 3. Go beyond your typical wedding manicure. 4. Hole punch confetti from fallen leaves. Especially perfect for a fall wedding. 5. Pretzel bars are the hot new reception snack. 6. Fill a wheelbarrow with seed packets as a wedding favor for an outdoor wedding. 7. Opt for cozy nooks instead of seating. 8. Pair a backless dress with a necklace that has an elegant statement closure. 9. Show a little ankle. 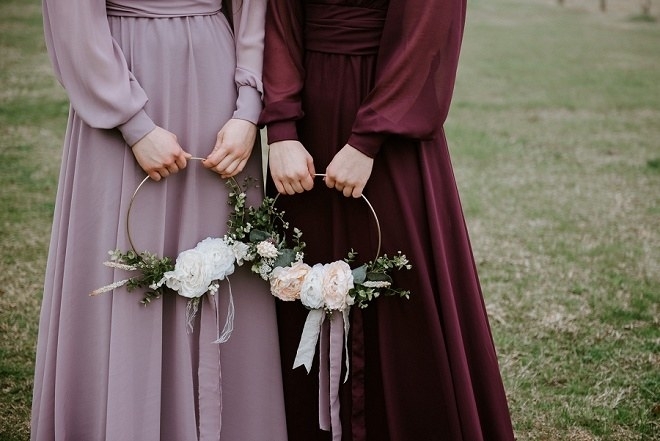 Ankle bouquets are the new garters. 10. Utilize the precious space on your shoes with a message you’ll want to keep forever. The pretty calligraphy is a nice touch, too. 11. 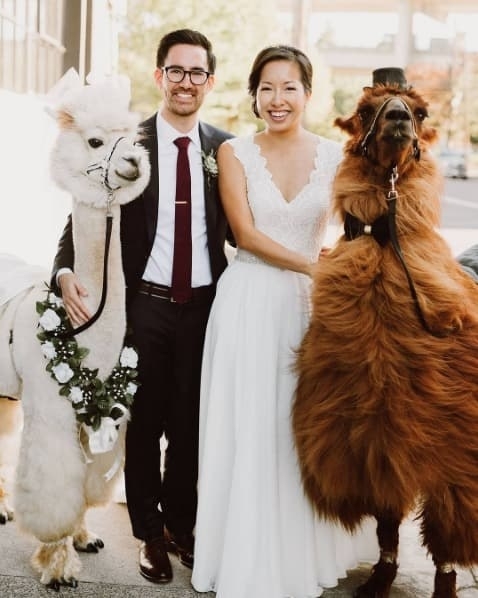 Invite some alpacas to the party. 12. 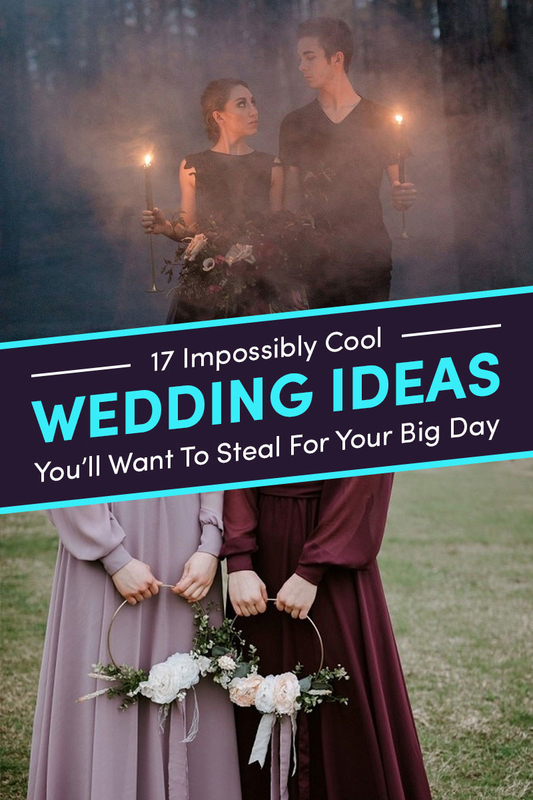 Honor your maid-of-honor for the most instagram-worthy of wedding shots. 13. Offer zero waste disposal options. 14. Candles make amazing props for a wedding at dusk. 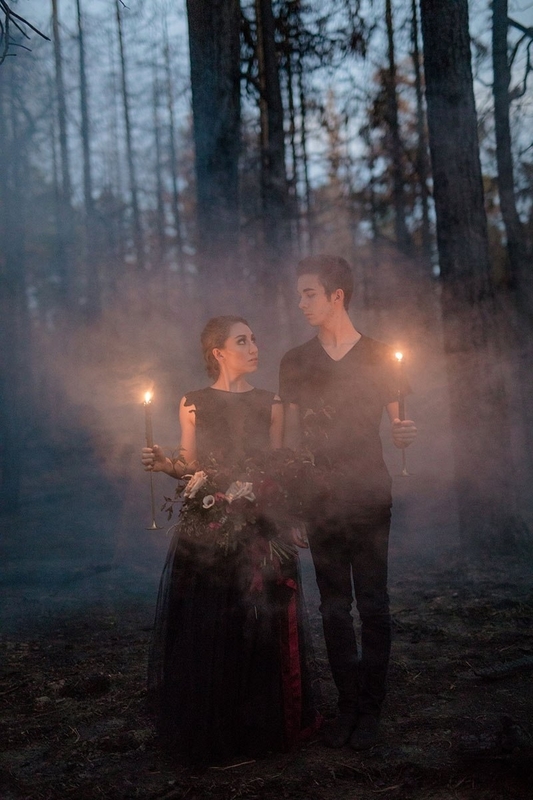 You gotta see the pics from this epic Halloween-themed wedding. 15. Acknowledge the ones who can’t be there with you on your special day. The sign is $22 from Etsy and comes in an array of lettering color options. 16. Use tambourines instead of bouquets. The painted flowers are a belle touche. Or keep it minimalist with simple gold hoops. 17. 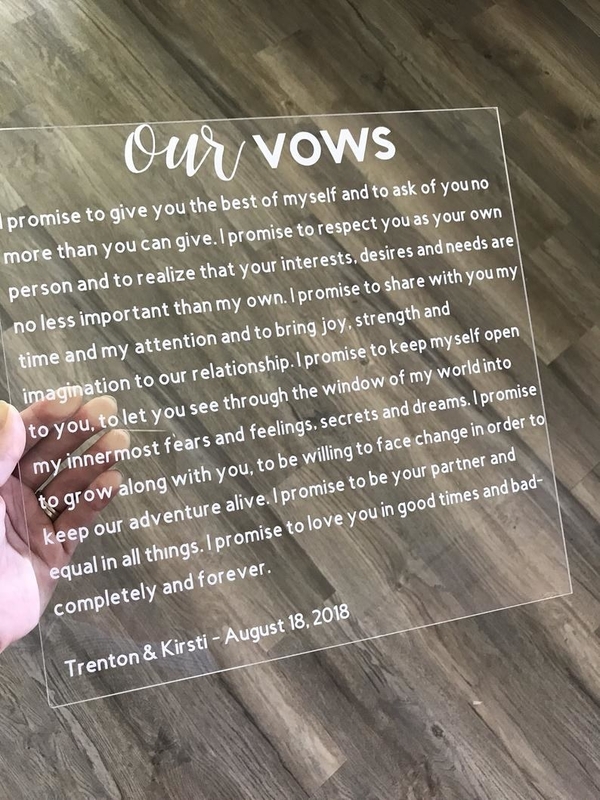 Print your vows on transparent boards. 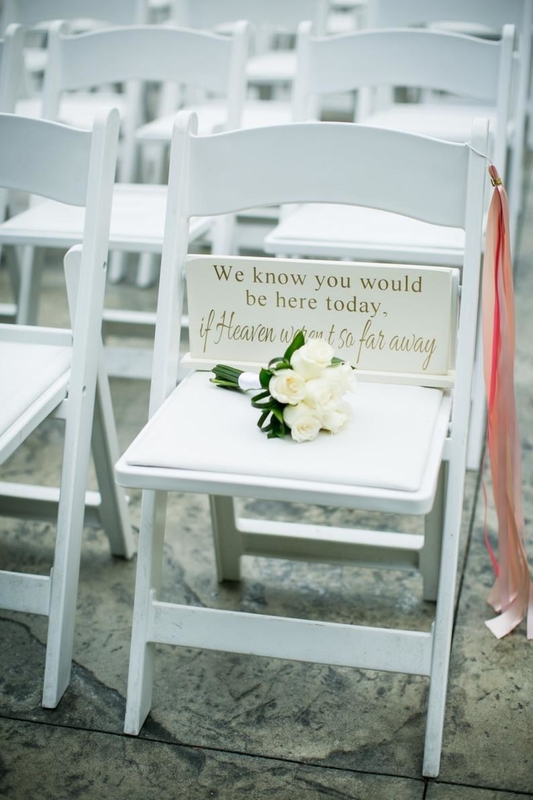 Get it with a stand for a longer-lasting memento than a piece of paper. Available from Etsy for $68. Shopping Spree, Anyone? Everything At Express Is 40% Off!